Rick Hauer, a Partner with Calfee's Employee Benefits and Executive Compensation practice group, advises clients on all aspects of their executive compensation and employee benefits programs. With more than 30 years of experience, he provides balanced judgment and technical guidance on complex business and legal issues that arise because of business or regulatory change. Over Rick’s career, he has had extensive experience in helping public, private and non-profit clients achieve compliance as well as business goals when significant legislation or regulations impact executive compensation or employee benefit plans. Rick’s work started right out of law school with the massive plan rewrites required to comply with ERISA, including the annual updates required in the following years. He has helped clients with the difficult 409A rules to address both document updates and operational compliance. Currently, he is advising both broker-dealer and investment advisor organizations as well as employers on the new DOL fiduciary rule finalized in 2016. Rick has handled negotiations and preparation of CEO and other senior executive employment agreements, severance arrangements, change in control contracts, deferred compensation plans, stock options, restricted stock and other equity and cash based, long term incentive plans. He has advised not only employers but also management teams, boards of directors, compensation committees and individual executives on all types of executive compensation arrangements. He has advised public companies on how to make appropriate proxy disclosure of all the executive compensation arrangements that the company maintains for senior management. Rick’s practice also focuses on business transactions where the full spectrum of executive compensation and employee benefits issues arise sometimes in unusual contexts and require experienced and quick resolution. He is experienced in post-closing plan consolidations. He has been involved in numerous public and private company transactions including tender offers, leveraged buyouts, joint ventures and acquisitions and sales of private equity portfolio companies. He is experienced in ESOP transactions including formation of ESOPs and the sale of ESOP-owned companies. Rick also has experience in the area of non-profit, religious organization and government retirement plans. His experiences include working with 403(b) plans, 457(b) and 457(f) deferred compensation plans as well as representing clients in IRS or DOL audits involving non-profit entities. 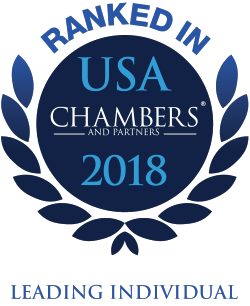 Rick has been routinely ranked as one of "America's Leading Lawyers" by Chambers USA, most recently in 2018 for Employee Benefits and Executive Compensation. He also has been selected for inclusion in The Best Lawyers in America© 2019 in the area of Employee Benefits and Executive Compensation. Rick joined Calfee in 1979 and became a partner with the firm in 1984. He was elected to the Executive Committee in 2008.